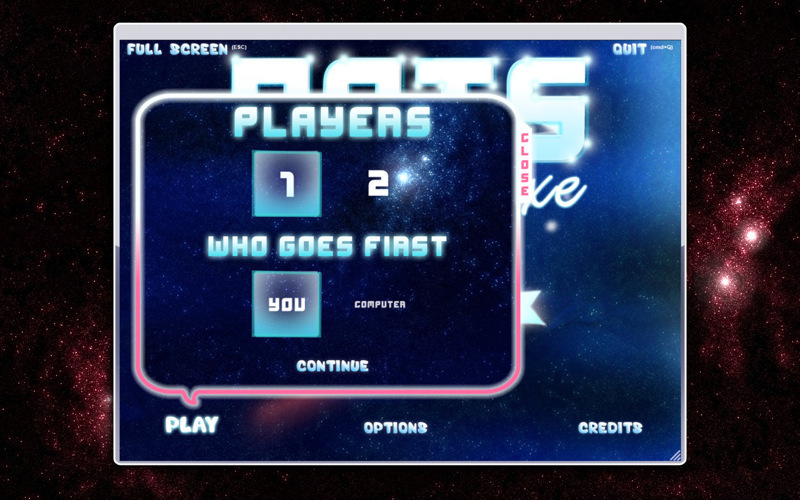 Intergalactic version of the classic kids game. Is there a better alternative to Dots Deluxe? Is Dots Deluxe really the best app in Puzzle category? Will Dots Deluxe work good on macOS 10.13.4? 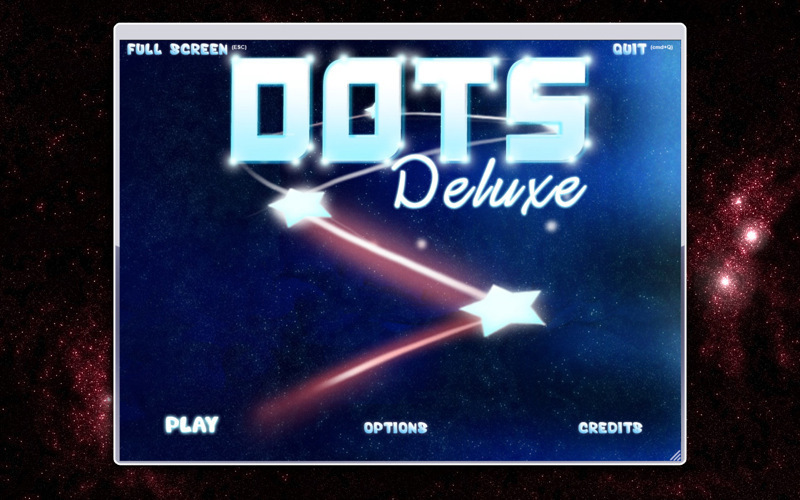 Dots Deluxe Free is an intergalactic version of the classic children's game. You can play against the computer or against another person. Click the start and end dots to create a line. Try to close the boxes to win. When a player closes a box they get a point and get to go again. 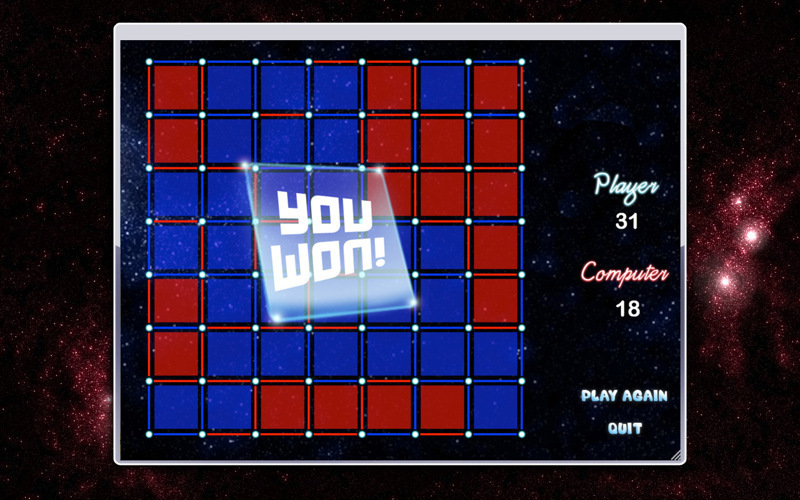 Once all of the dots are connected the player with the most boxes wins. Play against the computer or in 2 player mode. Try to close more boxes than the opponent. 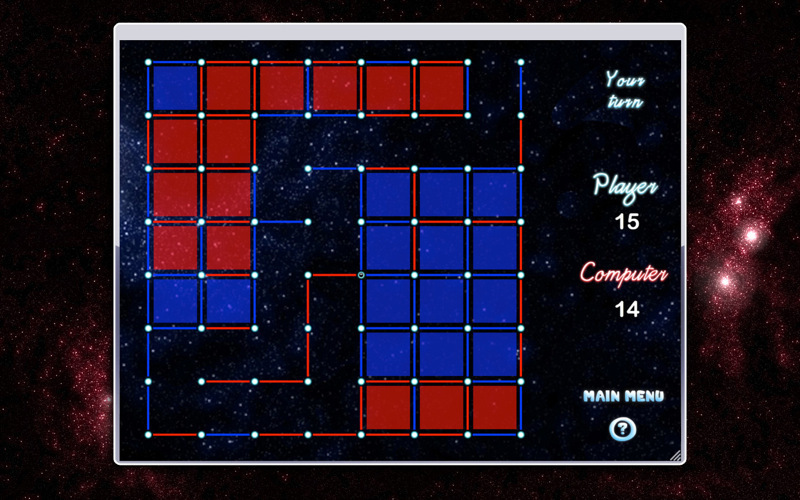 We hope you enjoy Dots Deluxe Free! Get the full version of Dots Deluxe for an extra theme and lots of fun music. Changed icon to include EnsenaSoft brand mark. Dots Deluxe needs a review. Be the first to review this app and get the discussion started! Dots Deluxe needs a rating. Be the first to rate this app and get the discussion started!